I'm not sure how many see this as a sport like I do. 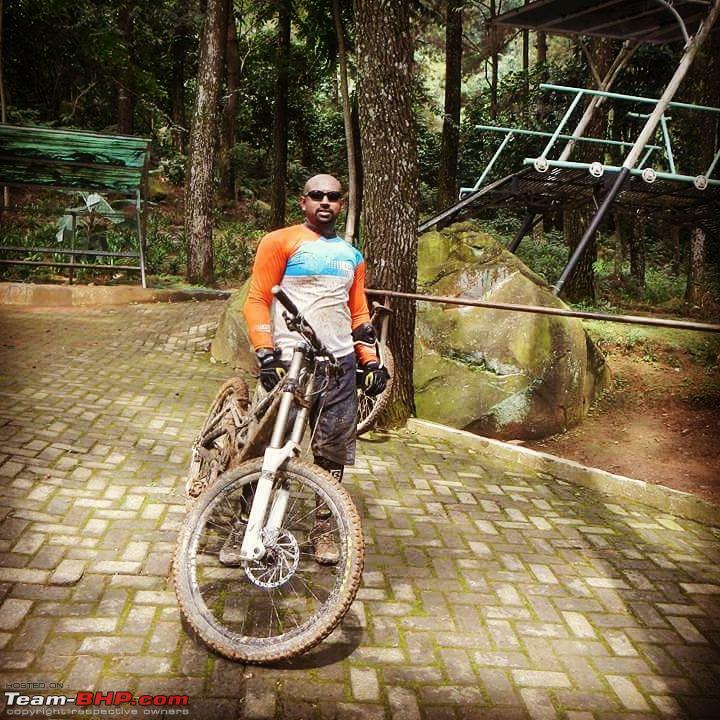 I have been into Enduro / Downhill Mountain biking since 2 years and I have been enjoying it so far. I will start with a word of caution - Downhill MTB is a risky sport and chances of getting injured is high! Wikipedia does good amount of justice to describe what this sport is all about! I played Cricket for quite a while, the last couple of years I almost stopped playing. My outdoor sport activity almost came to a halt. Hence I wanted to get into some activity that would demand endurance from me. I tried long distance running, cycling but I did not like doing them. It was rather pretty boring and the fun / adventure was missing. 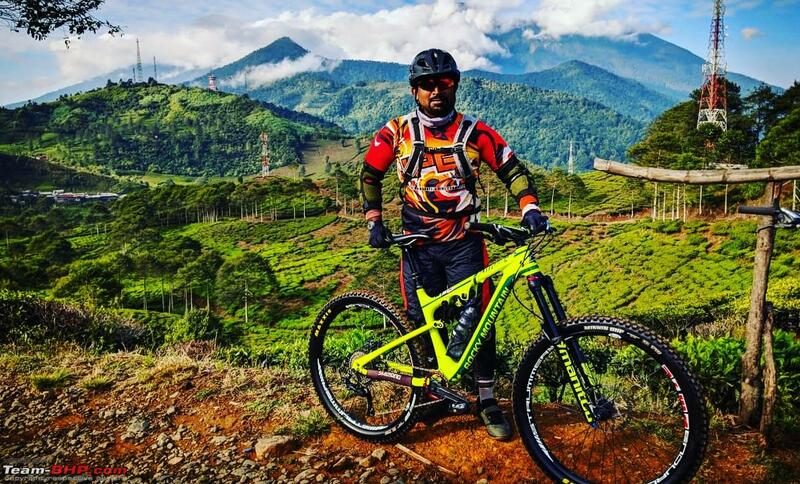 While I was on a cross country tour with my Hardtail, I got to know about Downhill MTB, I researched more about it and decided that I want to pursue this as a sport in the long term. Here is a summary of how I got into this sport, might help some of you as well! 1. 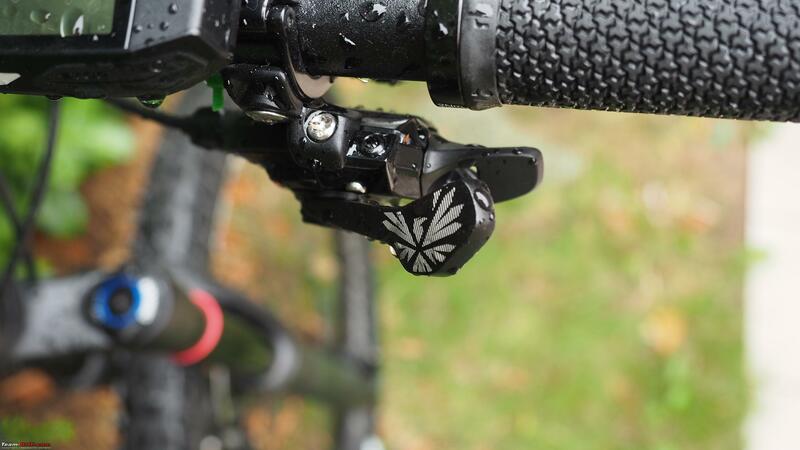 Enduro / All Mountain bike - A full suspension bike (aka Fully MTB) with a minimum travel of 140mm front and rear is a must if you want to do those jumps and drops. 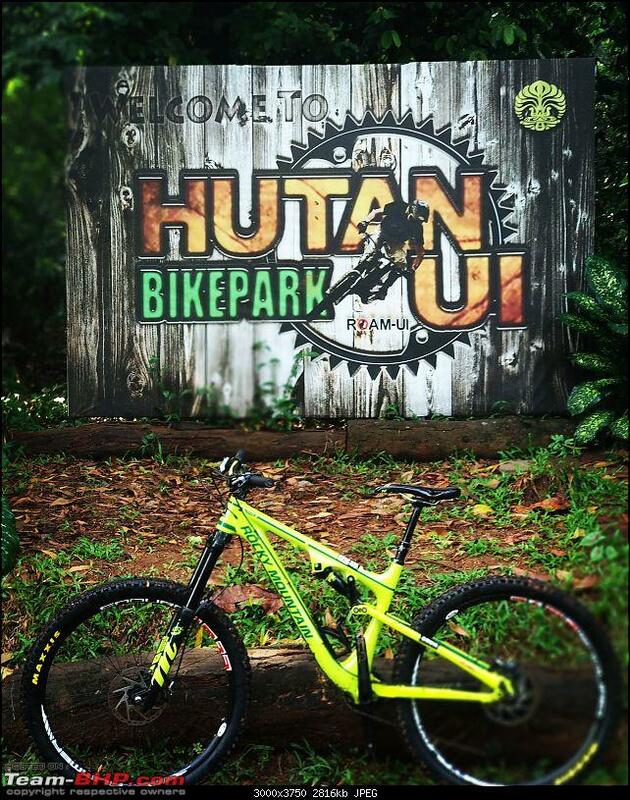 There are Downhill bikes with 200mm travel, but you don't want them unless you do not intend to participate in world championships. 2. A full face helmet to protect your head and jaw from those nasty crashes - Get a good one, do not compromise on this! Preferable would be to get one with a MIPS certification (https://en.wikipedia.org/wiki/Multi-...tection_System). I have the Bell Super 3R Downhill Helm. This one comes with a removable chin that can be useful at times. 4. Body armour (Depending on how good your technical skills are, you might be well off without one). 5. Goggles - Especially when you do Downhill, you do not want any dust or insects to disturb your concentration when driving high speeds. I use the Addidas Evil Eye Evo Pro which I find pretty comfortable. 6. Depending on what sort or pedals you use (Clip, Clipless or Flat), you might need appropriate shoes. I use the Five Ten Freerider shoes. 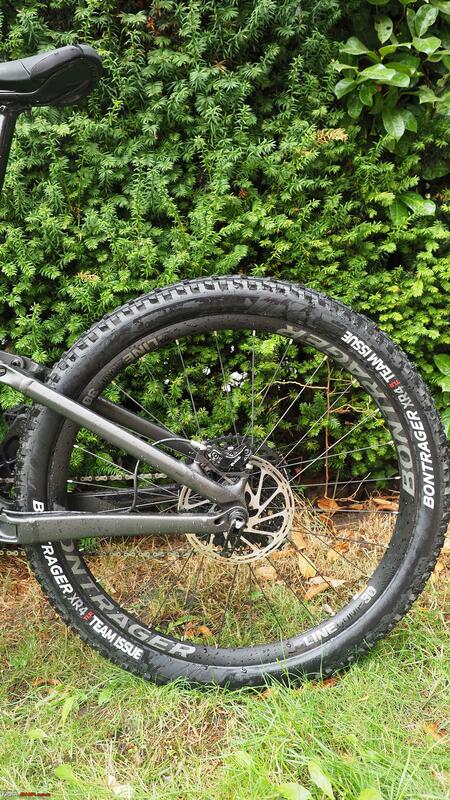 It has very good traction with flat pedals. There are two facets to this sport, going up hill and then coming down hill. Depending on the level of technicality, going downhill might be strenuous than riding up hill. If you hit some bike parks, they might have some lifts that can save your up hill riding. Getting the perfectly sized bike is very important. 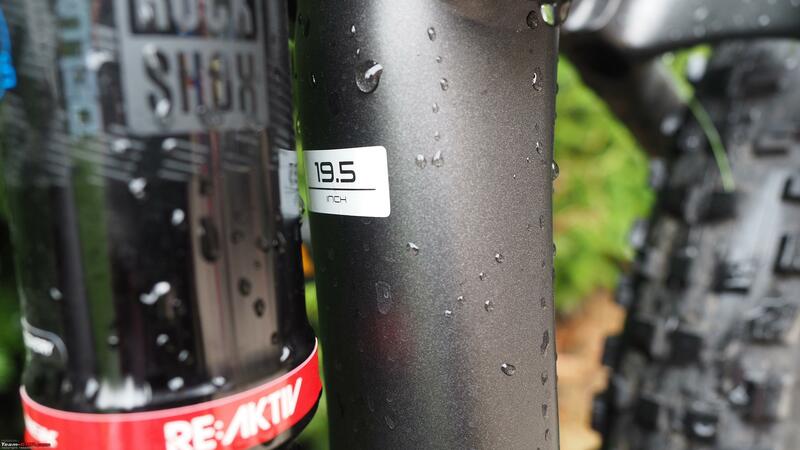 Most of the manufacturers have some advice on which frame size you should get based on your height and the length of your leg. Typically the bikes come in T-Shirt sizes like S, M L and XL. If in case your height falls in both M and L, the universal advice is to get a bigger frame. Don't go by the brand name as most of the brands just stop with the frame, while everything else on the bike (Your dampers, fork, seat post, cockpit, brakes, derailleur etc.,) will be from some other manufacturer. So look for some of the best components as a package and base your decision on that. 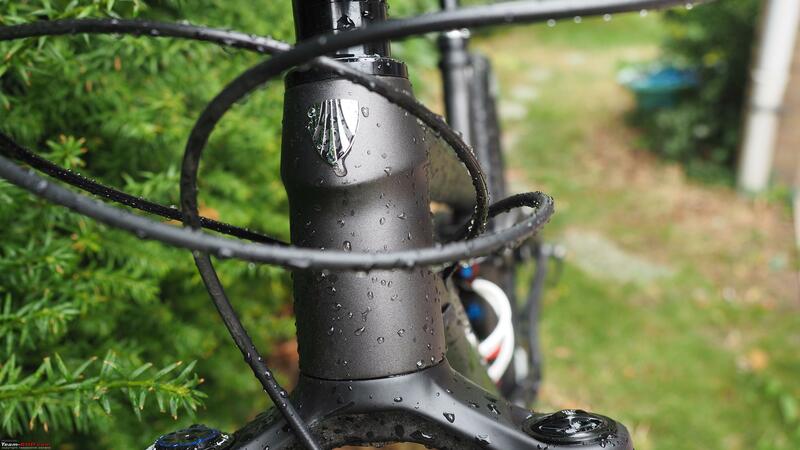 This is very important component in the bike and you should make sure that you get your bike with the appropriate suspension fork travel. 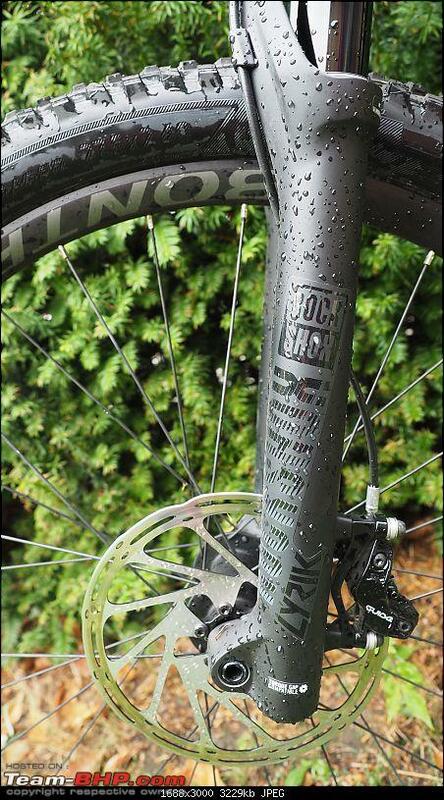 For Trail / All Mountain / Enduro / Downhill, the suspension fork ranges between 130mm to 200mm. 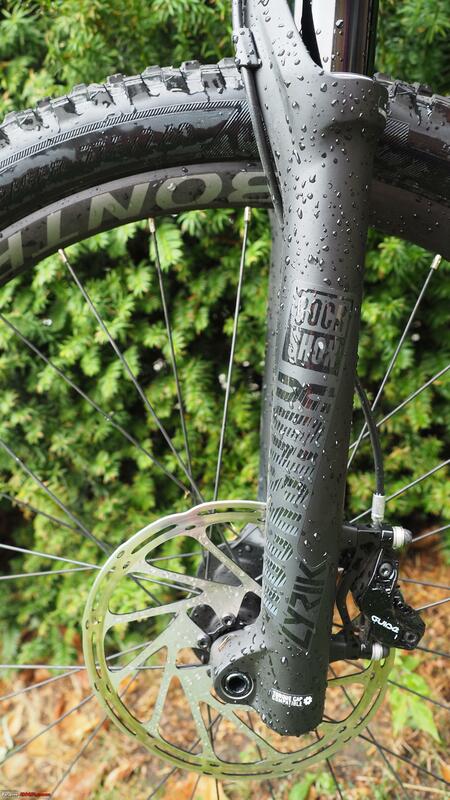 If you are just starting out with Mountain biking, get a suspension fork with a travel with at least 140mm. 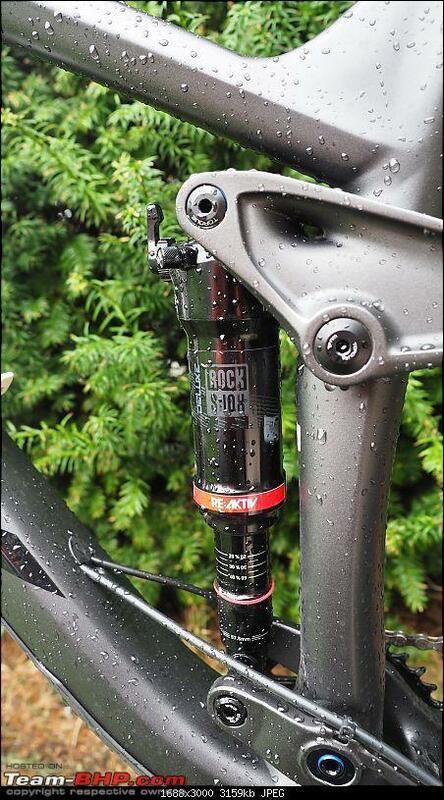 Getting the right quality suspension fork is very important. 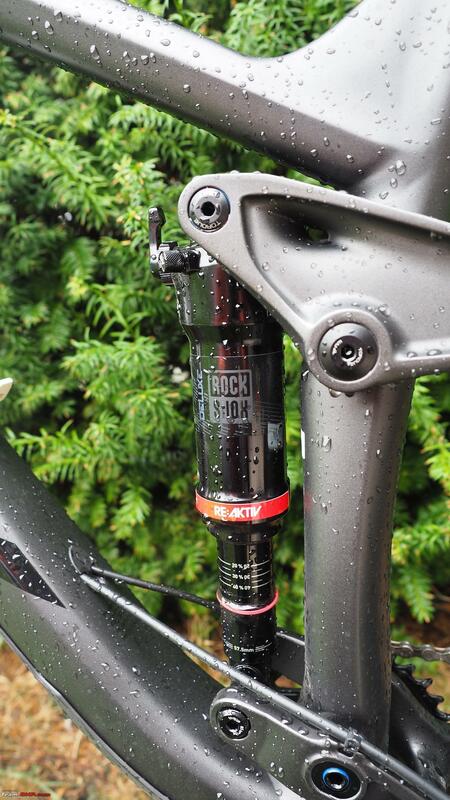 Look for one of the following - Fox 32 Performance Elite / Performance / Rhythm, RockShox Reba, RockShox Lyrik RC and stay away from ones like SR Suntour XCT/XCM , RST Blaze, Rockshox XC 30, SR Suntour XCR, Rock Shox 30 Silver, Rock Shox Recon Gold TK. When you are at the mountains, you will very often shift gears and more very often apply brakes. So getting a good quality brake and gear is very very important. For the gears, the current Enduro standard is a 1 x 12 drive train, meaning single gear at the front of the chainstay and 12 speed gear at the rear. 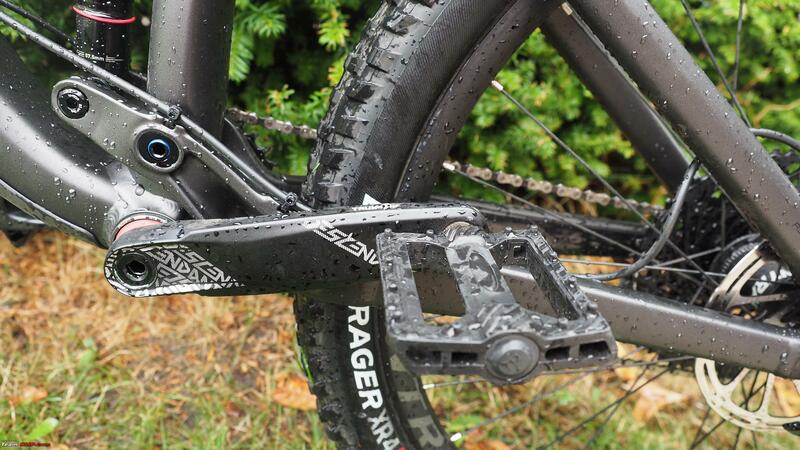 Shimano and SRAM produces both the brakes, gears and offer them as a package. 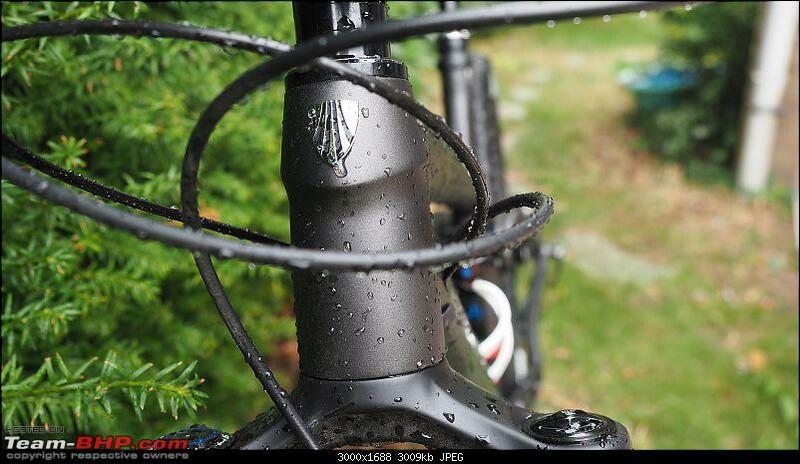 If it is Shimano, this is what you should look for - Deore, SLX/Zee, Deore XT, XTR/XTR Di2/Saint. 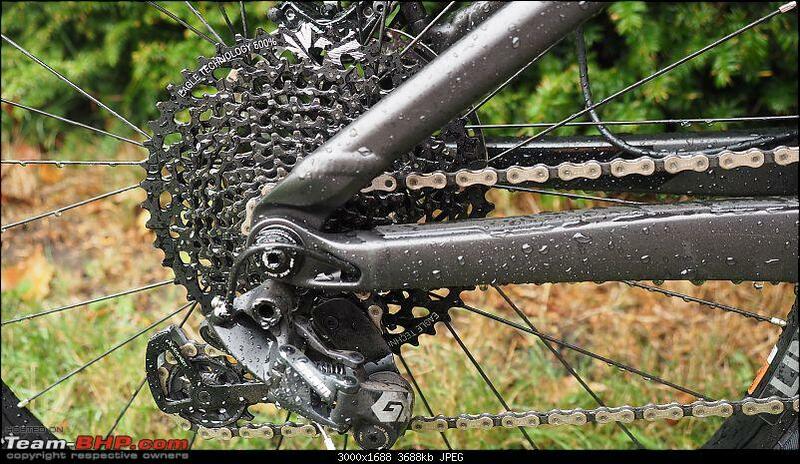 From SRAM, get one of - X1/GX Eagle, X01/X01 DH, X01 Eagle, XX1, XX1 Eagle. 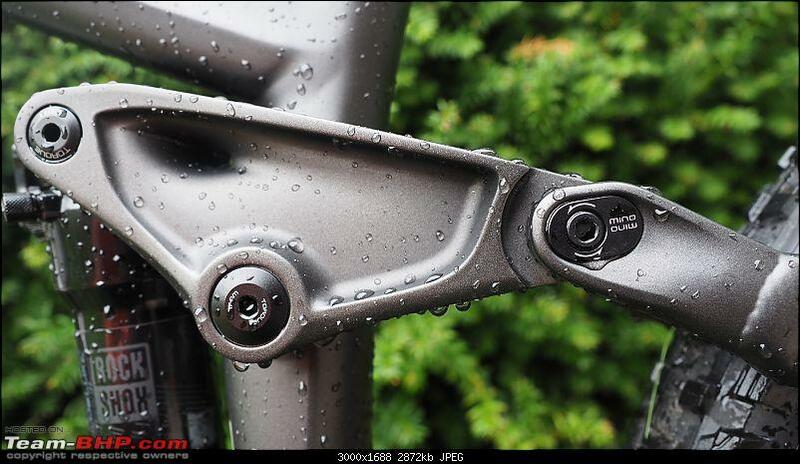 If you don't see any of these mentioned in your bike's specification, better stay away from it. 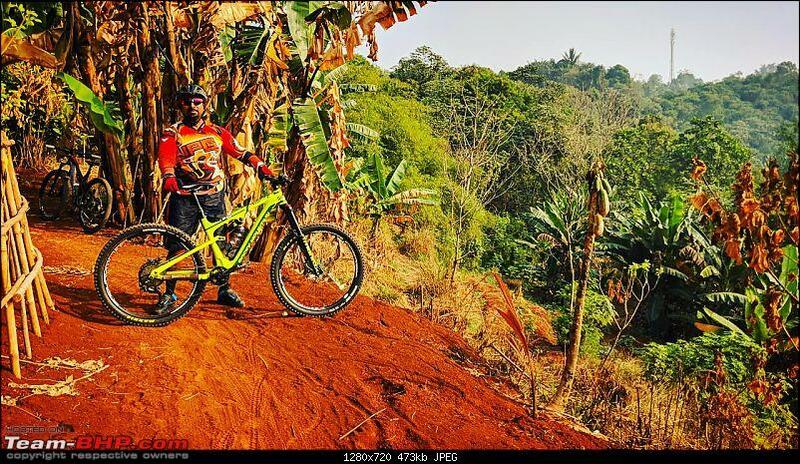 I tend to see the difference between Downhill and Enduro like this - Downhill is more for professional bikers while Enduro is more of a general purpose Downhill bike. The battle between the two boils down to just two facts - Clock & Gravity. 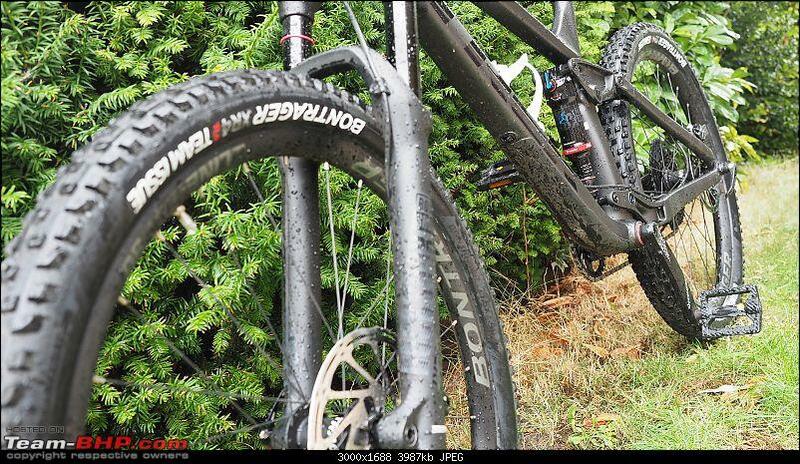 Enduro bikes tend to go softer on the Clock & Gravity, while Downhill bikes tend to go harder. So in simple words, if the descent is more steep and has higher jumps, go for a Downhill bike as they tend to have more sturdy components and aggressive geometry. Have a look at Red Bull Rampage to get a feel of Freeride Downhill. 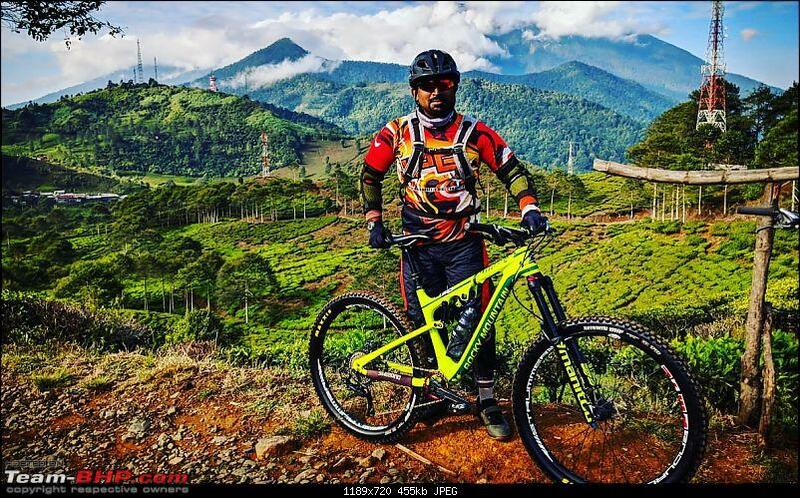 This would also mean that Downhill bike suits more for a professional Downhill racer than someone who is just starting out. 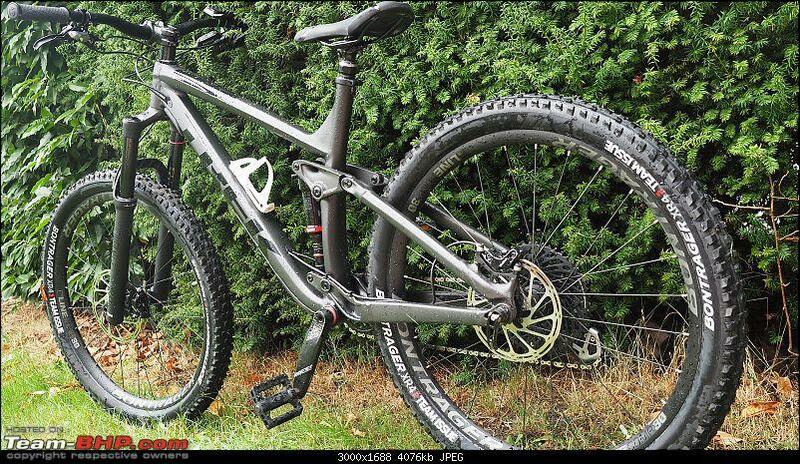 So for all you starters with Downhill Mountain biking, advice is to get an Enduro bike as this will be more versatile and you can also use your Enduro for XC tours. 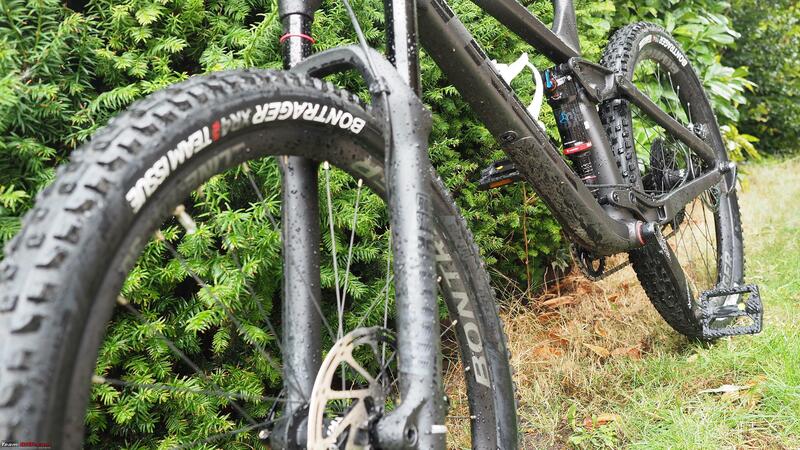 The time of your bike purchase could end up saving you some good amount of money. Look for end of season sale. 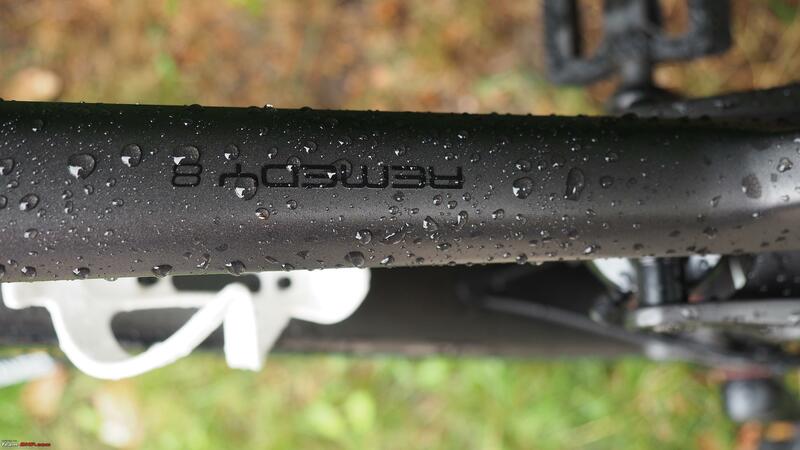 Typically moist of the bike manufacturers announce their new bike models around August or September, so keep an eye for some discounts during the months of May, June, July and August. You will find previous year models with some hefty discounts. Having said all this, I introduce to you my tool for the mountains that can swallow any sort of terrain! - The "Trek Remedy 8" code named "The Beast". I will let the pictures do the talking - This is my best attempt to show the beauty behind this beast! The bike just came back from a Downhill session and got a nice bath! The Cockpit view. You can see that the cables get nicely tucked inside the frame. 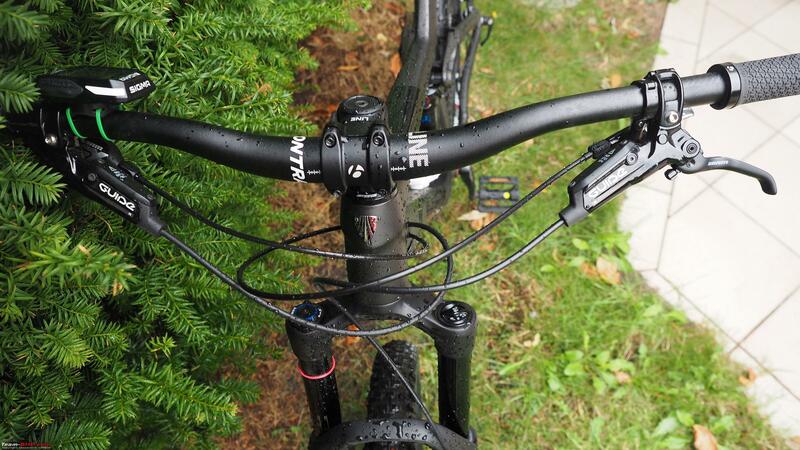 Gear efficiency is awesome with this 12 speed rear shifters. Can you spot the Eagle? I still have the stock pedals on the bike. I have to swap them for a better quality one! Riding with this on a Downhill is quite risky! 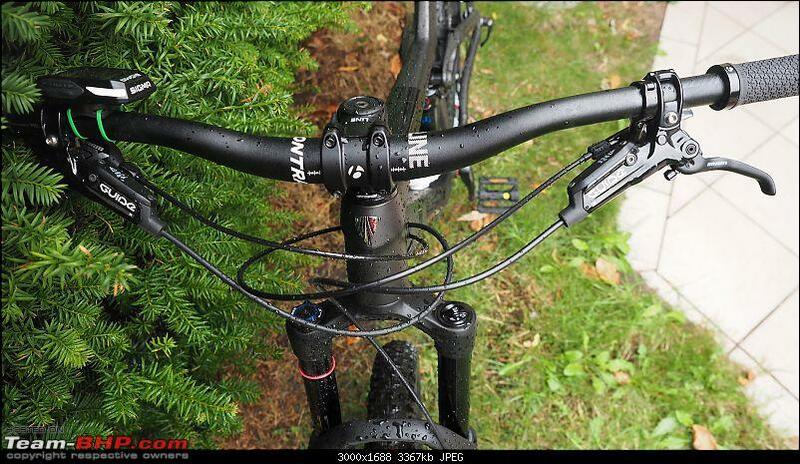 Side view shot - As you can see here the seat post is at its minimum position and this is where it should be when going Downhill as you want more room for your body to balance the weight and centre of gravity against the bike. 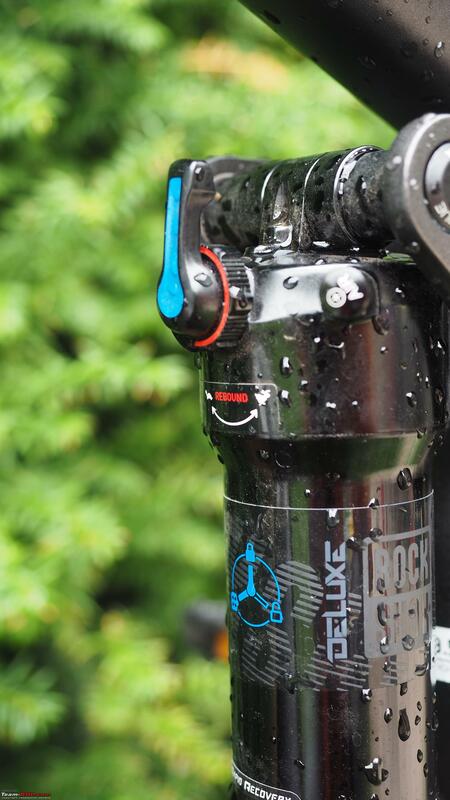 This is where the dropper post does a great job where by a gentle press and push on the seat would send it down. 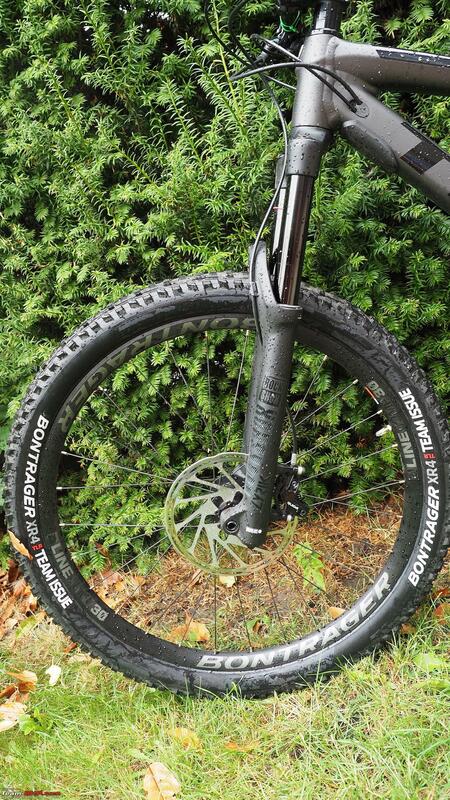 And finally the size of the bike that I ride - Trek is a bit unique with respect to the sizing. 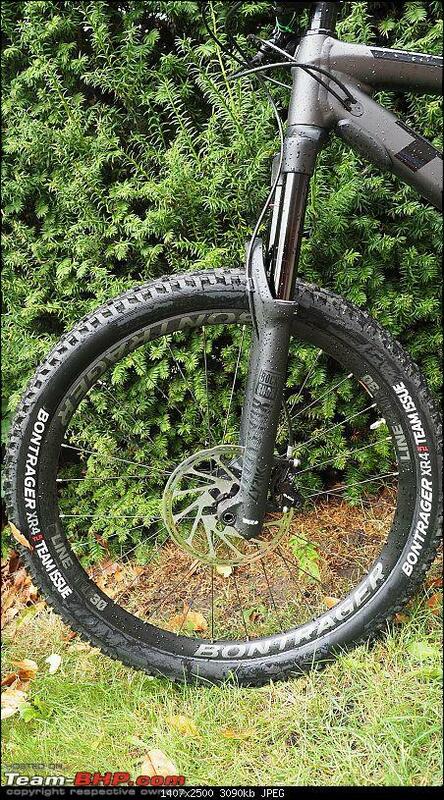 While all other manufacturers have sizes like 16" (S), 18" (M), 20" (L) and 22" (XL), Trek has something in between such as 17.5", 18.5", 19.5" and 21.5". 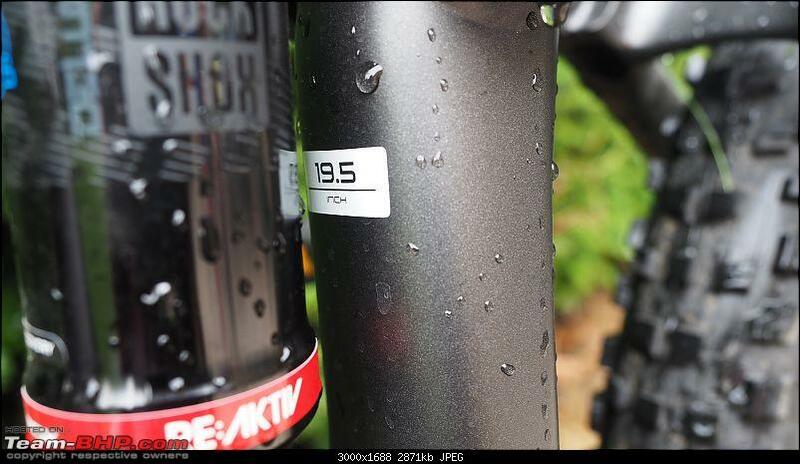 I find Trek's sizing to fit me much better than the Canyon Strive CF that I test drove in size L.
Last edited by joe1980 : 7th September 2018 at 23:08. This is the first thing that you should do before you hit the mountains. 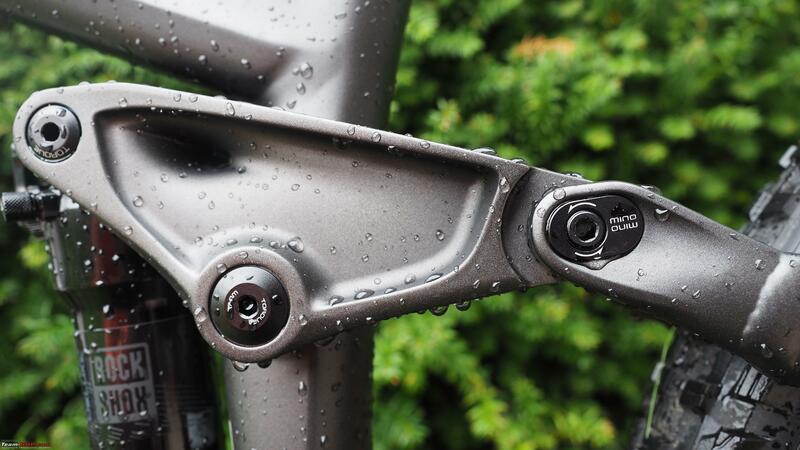 Make sure your front and rear suspension is set up with the correct pressure, check your tyre pressure, your brakes should be in pristine condition, check your dropper seat post if they function properly. 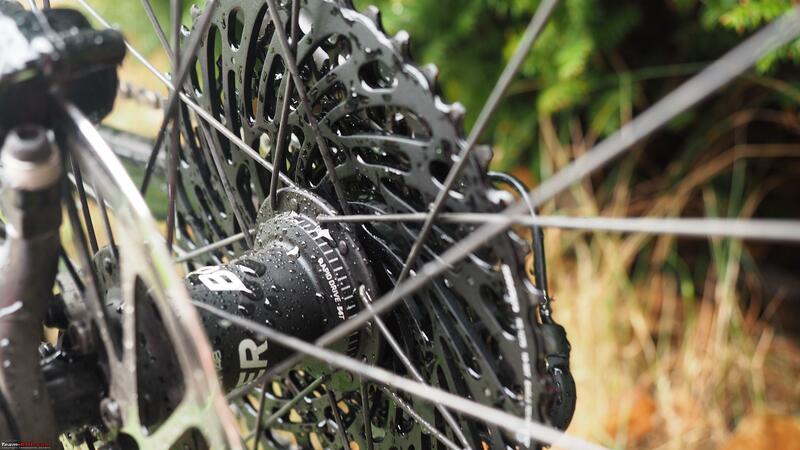 If any one of these deviate from their normal behavior, you might either end up injuring yourself during the ride or your bike might not perform very well during the ascend or descend. Yes, this is something that you have to know by instinct and the first skill you need to keep in mind. Whenever you are faced with such a situation wherein you are about to fall, know how to let your bike fall and you escape. So always have in mind how to jump of your bike and land on your foot when you are about to fall! 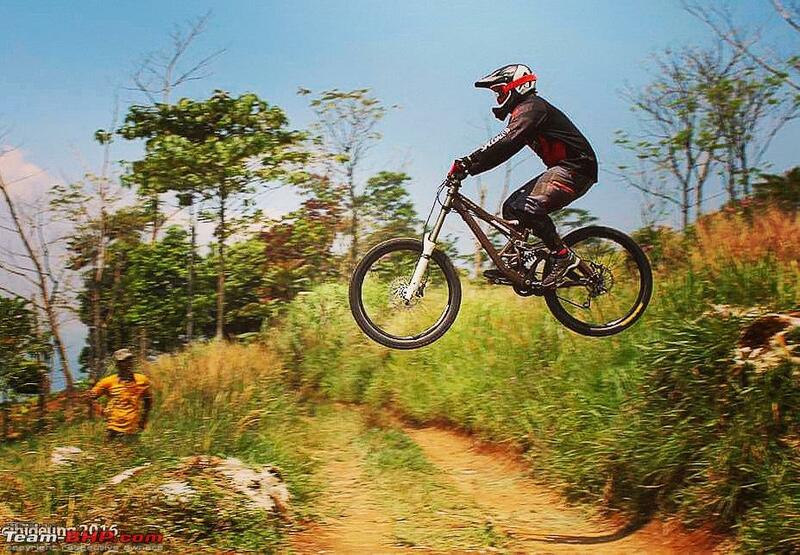 If you think about it, this is the very first basic skill you need on a Mountain bike. Your body is acting as the centre of gravity (cog) on the bike and you want this cog to move around depending on the slope (uphill or downhill) and depending on how steep the slope is. 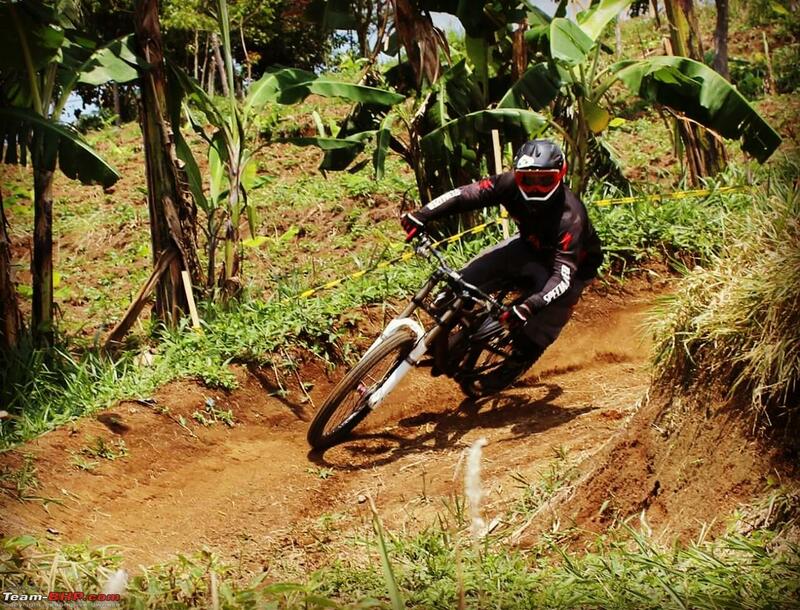 If for example., the slope is very steep and if you ride the bike in a normal riding position, the cog is mostly concentrated on the front wheel and there is a very high chance of you going head over the handle bars and you definitely do not want that. So in this case, you move your body to the rear end of the bike so that the cog on the front wheel caused by the steep slope is balanced by your body weight on the rear. As simple as that! So for you to practice this, I would recommend driving your bike down on stairs. In the MTB jargon, there is the English Bunny hop and the American Bunny hop and I would focus on the American Bunny hop as it enables you to cover more distance with style. Alright, now we are getting into some serious and tougher skills. Even after a couple of months of practice, I could not do this properly. Though I could clear smaller obstacles, I fear the bigger ones when I'm on quite some speed. So my advice is not to hurry up and keep practicing. Trying to master bunny hop is when I hurt four times on my two legs. With every that I hurt myself, I realised my mistakes. Those were as simple as not using a proper shoe, not using a knie protector and doing the whole technique totally wrongly! In my own simple words, this is what you need to do so that you can at least lift your back wheel. First crouch down and put lots of pressure on your handle bars. 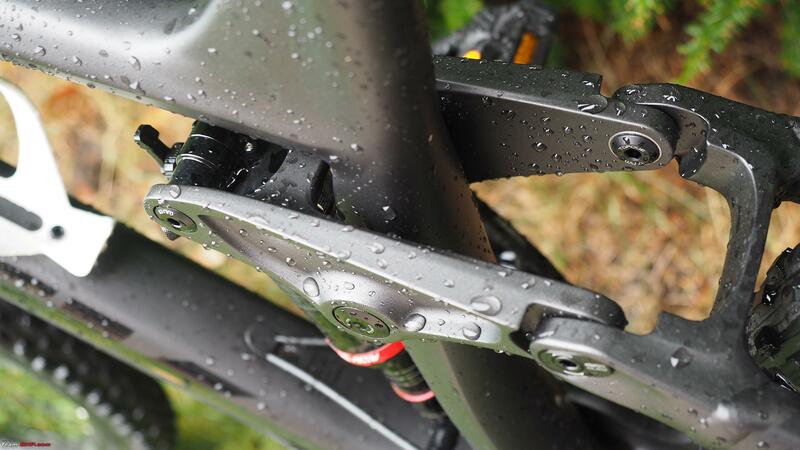 Your pressure should compress the front suspension. Next with you in that crouched position move back as-is and pull the handle bar towards your chest. You will now notice that the front wheel lifts off. You should have a feel of how much the front wheel lifts off the ground. 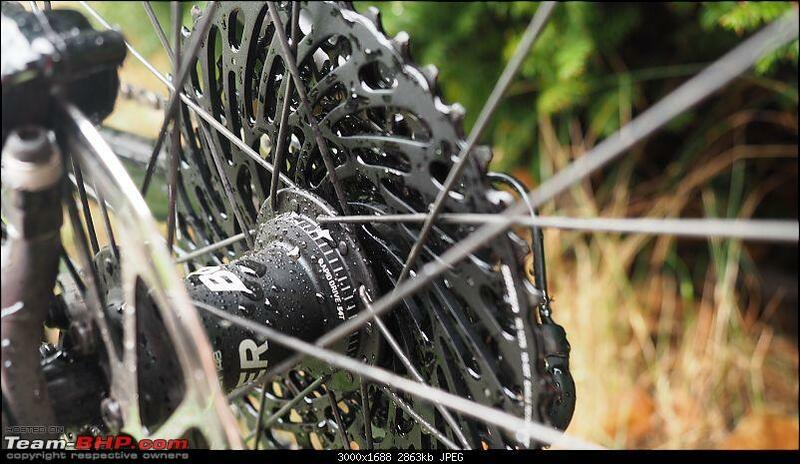 If you feel this you will know that your front wheel is fully up and it is time to lift the back wheel up in the air. So for this, you first have to push the handlebar away fron you in a circular motion while at the same time moving your body weight to the front and at the same time using your legs to push the pedals backwards. It gets tougher now! Doing a manual on any bike is a skill that you might have attempted when you were a kid. If not, not a problem. You can try doing manuals. 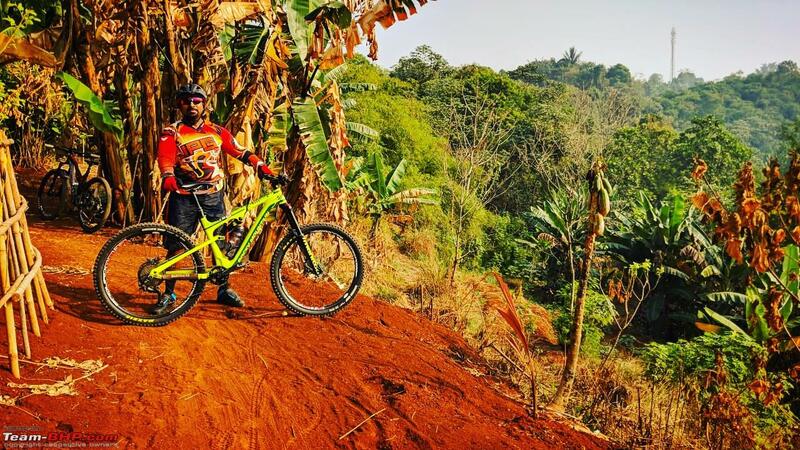 I'm entirely not sure how manuals might help you on a Downhill section, but knowing how to do a Manual would give you more confidence and control over your bike. I can do very short manuals that lasts for just 5 seconds at the maximum and this is certainly not enough. So the trick to do lengthy manuals is to know where your balance point is such that you don't end up lifting the front wheel too much. But that scare in you would hinder from finding that balance point. It is exactly what I'm facing now. Just like the bunny hop technique, for a proper manual you need to make use of your hips, knees and bottom part of your leg to keep the manual position for as long as you can. Like I said, this is not a skill that you would need essentially on a Downhill section, but it is always good if you can manual your MTB! There are several other techniques like side jumps, track stand turn etc., but most of these just build upon the above mentioned primary skills and techniques. 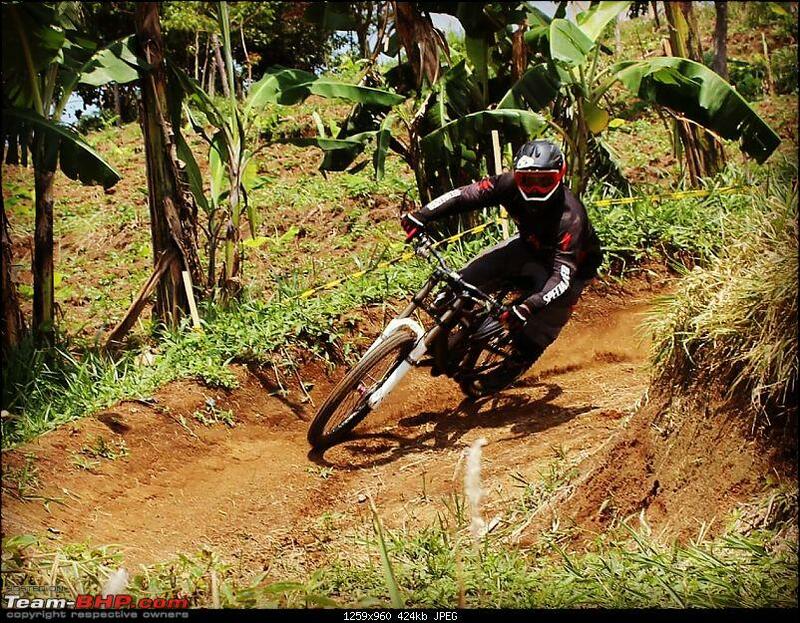 Cornering refers to those tight turns that you will encounter when on a Downhill section. In some tough technical trails, you will have turns that are almost 180 degrees. So it is essential that you know to manoeuvre your bike for those tight turns. You can practice anywhere by placing several cups at equal distance from each other and try to get both your wheels in between the spaces. Wallride is closely associated with cornering in my opinion. You will find such walls around corners in most of the bike parks. The more steep the wall is, the more hard it is and requires greater attention to detail. So the trick to do successful Wallrides is to approach the wall with enough angle such that the tyres can find a good grip against the slant surface. There is no easy way to learn to Wallride other than to just practice it! 1. Get to know your bike very well. Make friends with it. Learn how to shift the gears at the right time up and down as you go up and down the hill. Shifting gears at the right time is very very important and it comes only with lots and lots of practice. It is important especially when there is a mix of a Downhill and Uphill section. 2. 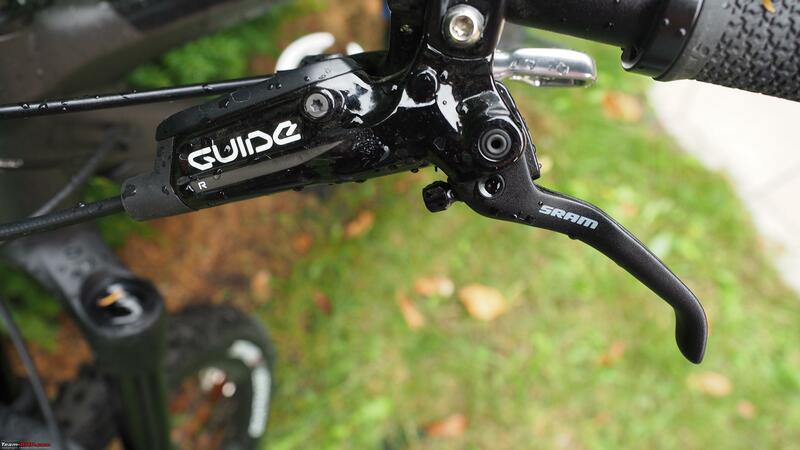 Make sure to read the manuals of your bike so that you can set it up every time before you hit the trails - This is very important that you set up your bike before you do the trail. 3. 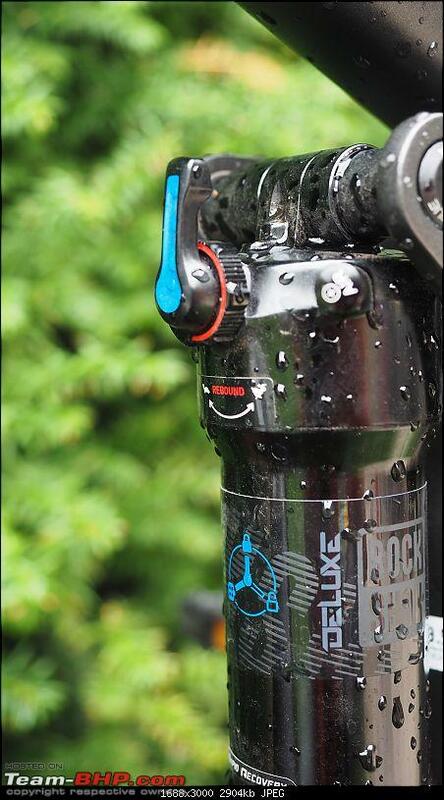 Do not forget to carry with you enough water, multi tool for those unexpected bike repairs when on the trail. 4. Finally, never ever forget to wear your safety gear when you are out on the trail! You never know what space time has in place for you! So better be prepared and better be safe! Last edited by joe1980 : 7th September 2018 at 19:18. Been MTB riding for 3 years now. 1. Specialized Camber : XC Trail Bike 100 mm dual suspension. 2. 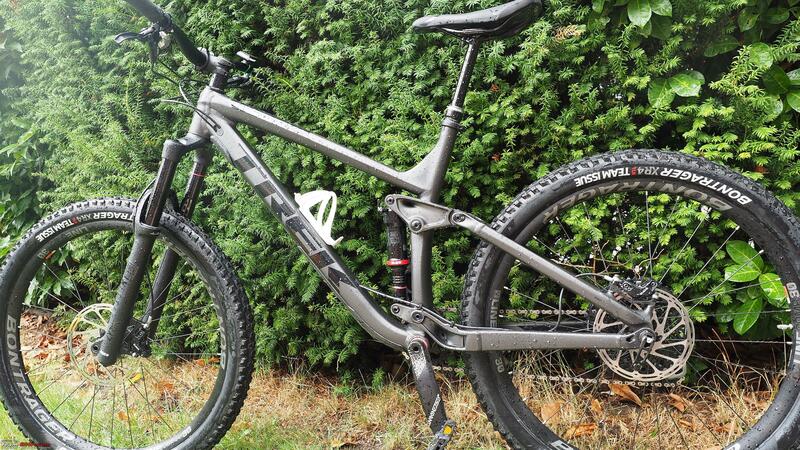 Specialized Demo : Downhill Bike 200 mm dual suspension. 3. 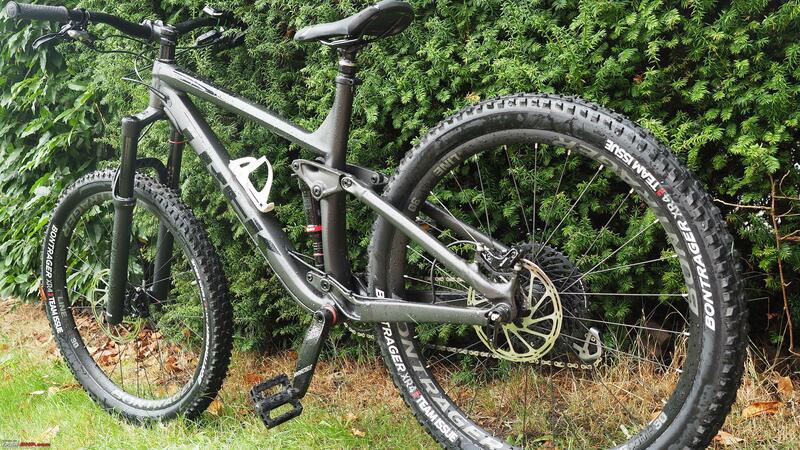 Rocky Mountain Altitude : Full carbon Fibre frame , 160 mm dual suspension Trail /Enduro Bike. 4. 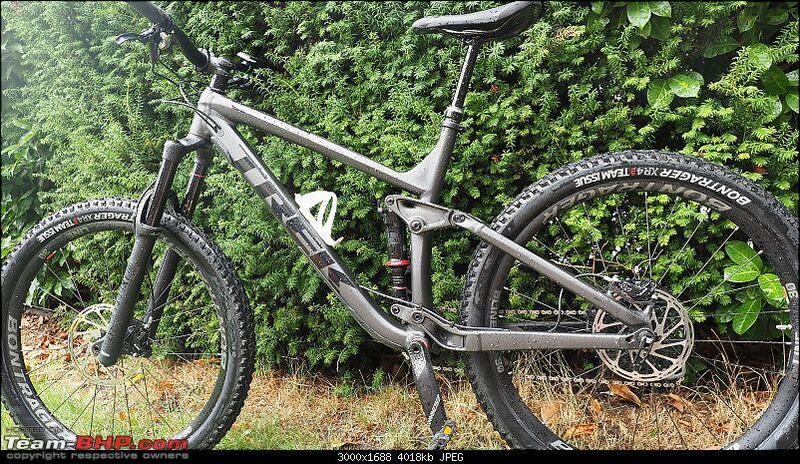 Scott Scale : Hard Tail Cross Country monster, 100mm front suspension only. 5. 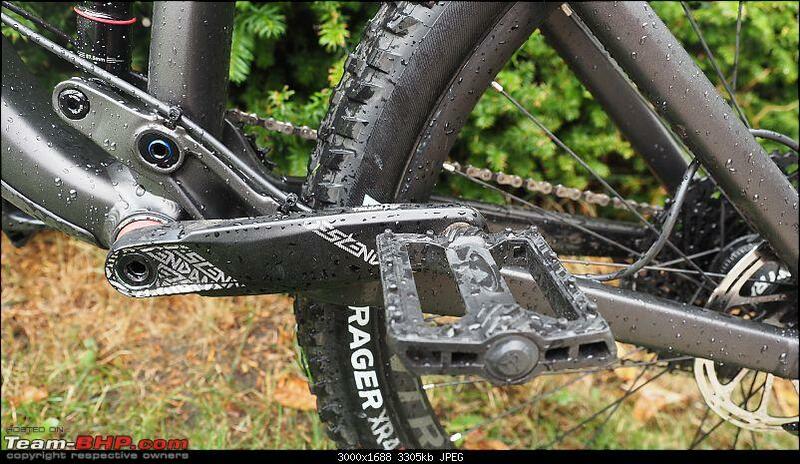 Had a Road bile (Polygon Helios) bored in 6 months..sold. Asphalt is not for me. Will post pictures later. Serious Injuries : 2 cracked ribs, and one dislocated shoulder. Minor Injuries : Too many to mention. Helmet : Nautilus Monk, 661 Full face. Addictive nature of the sport keeps you going back. A few Pictures of the terrain and bikes. 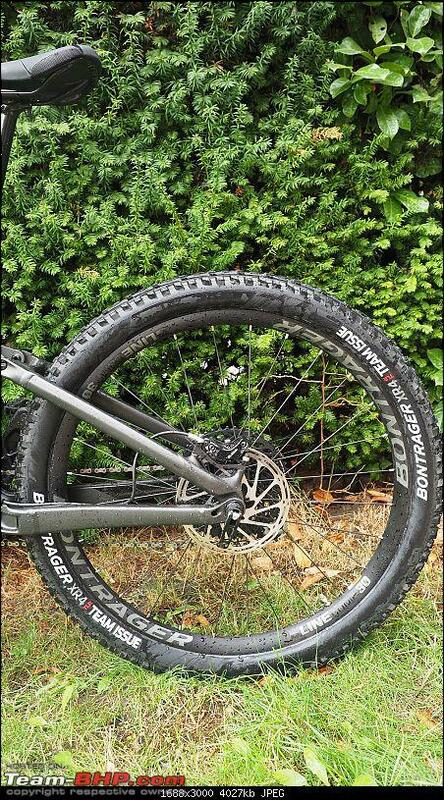 Pictured here due to time constraints (posting form work), are my Rocky Mountain Altitude (Full Carbon fiber) 160 mm Aggressive Trail (Enduro) bike, and Specialized DEMO (200 mm Downhill bike). Some of these Road gaps are over 8 meters wide. Excellent set of bikes. Do you still have all of them? Where do you live by the way? 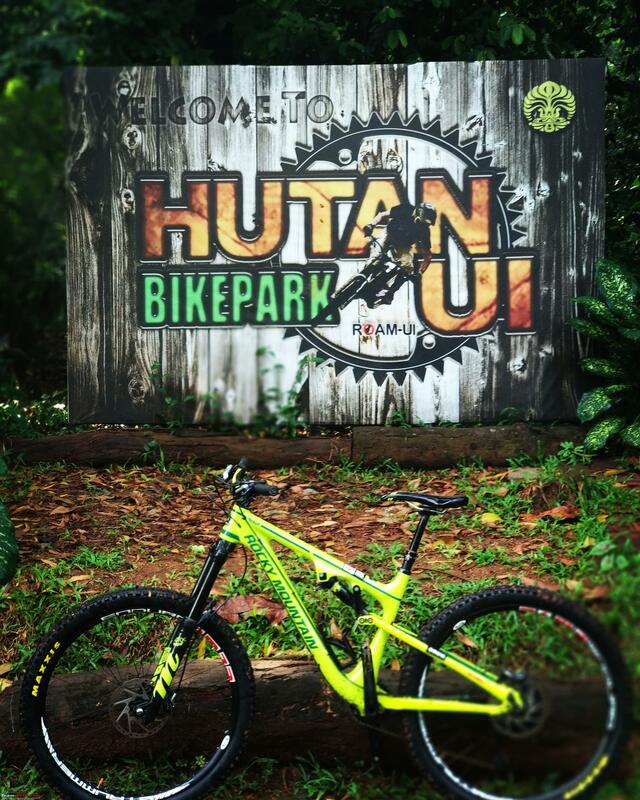 Are there any bike parks close to where you live? How frequent do you go there? Very interesting! Like you said, it is very addictive. The second day after I injured my Phalanx toe, I could not resist the temptation to take my MTB out! Superb thread with a lot of information. Bicycles have come such a long way. The sheer technology and the number of adjustments that you can make is mind-boggling. Both of you have really fantastic bikes. I have seen those Red Bull downhill videos - really awesome! But, they can get dizzying for most. But, as you rightly said, the sport is addictive and those into it, can't stay away from the saddle for long. I like in Jakarta, Indonesia. Most Trails are within an hours drive. Blessed with some of the finest, and most challenging trails around. Some of these are expert level tracks, gnarly and rocky. Have even managed to bottom out my 200mm DH bike. 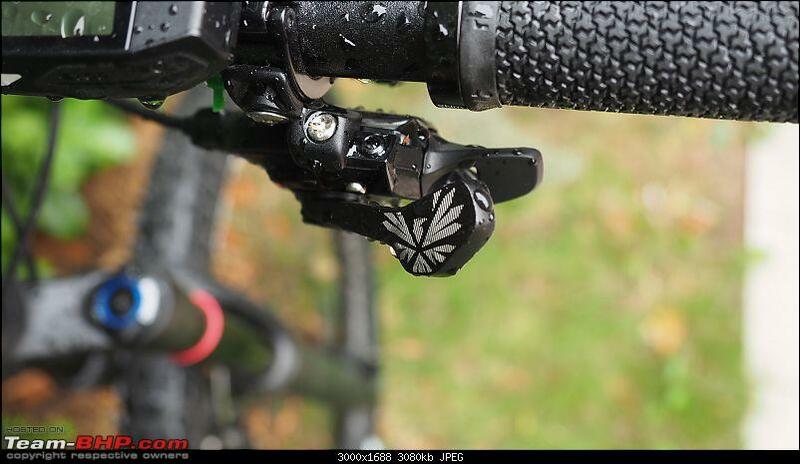 Needed to dial in the rebound and compression settings to compensate for the excessive plush nature of the Fox 40 fork. Where abouts do you live and ride. I live in Germany. There are quite a few bike parks around. Last Sunday I had been to the bike park in Winterberg and did most of the trails! I do not have a GoPro and I went alone to the bike park. Hence, I could not manage to get some videos or any pictures. I might probably go very soon to a new trail that got opened recently near Solingen with one of my friend. So I hope this time around I can make some good videos of me doing the trail! Any T-BHP members in Germany and are having the same hobby? I would be interested to discuss and drive together!